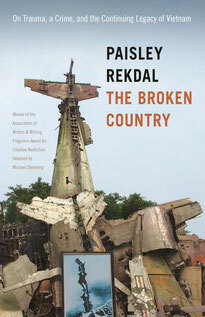 The Broken Country is a book-length essay on cultural trauma and the inter-generational legacies of war. In 2012, a young Vietnamese man named Kiet Thanh Ly walked into a downtown Salt Lake City megastore, purchased a knife, and began stabbing white male passersby in the parking lot, purportedly in revenge for the war in Vietnam: a war that, due to Ly's age, he never immediately experienced. The Broken Country explores how Ly's case may be at the heart of a larger discussion of war's trauma, historical memory, cultural assimilation, and identity: issues that refugees and veterans alike must face when repatriating after war. Through investigative reporting, cultural criticism, oral history and personal reflection, The Broken Country considers the sheer number of people psychologically wounded by violence. In Ly's tragic story, we might find the fascinating, if controversial, beginnings of a new kind of war memorial: one that draws together the testimony and trauma of war's less visible victims. Winner of the 2016 AWP Creative Nonfiction Award. Read reviews from Publisher's Weekly, Kirkus, New Pages and American Book Review. Read an interview with the APALA. Read a profile in the Salt Lake Tribune, and an interview with City Weekly. Listen to interviews about The Broken Country on Radio West, on Progressive Spirit, on Access Utah, and on Moments with Marianne. Watch an Asian American Writers Workshop TV roundtable reading and discussion titled "Poetry, Data, and Trauma," with Yanyi, Soyoung You, and Jennifer Hayashida. 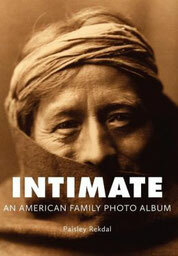 Intimate: An American Family Photo Album is a hybrid memoir and "photo album" that blends personal essay, historical documentary, and poetry to examine the tense relationship between self, society, and familial legacy in contemporary America. Typographically innovative, Intimate creates parallel streams, narrating the stories of Rekdal's Norwegian-American father and his mixed-race marriage, the photographer Edward S. Curtis, and Curtis's murdered Apsaroke guide, Alexander Upshaw. 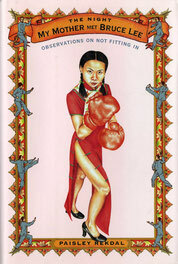 The result is panoramic, a completely original literary encounter with intimacy, identity, family relations, and race. Read a review on NewPages. In her soul-searching voyage, she teaches English in South Korea where her native colleagues call her a “hermaphrodite,” and is dismissed by her host family in Japan as an American despite her assertion of being half-Chinese. A visit to Taipei with her mother, who doesn’t know the dialect, leads to the bitter realization that they are only tourists, which makes her further question her identity. Written with remarkable insight and clarity, Rekdal a poet whose fierce lyricism is apparent on every page, demonstrates that the shifting frames of identity can be as tricky as they are exhilarating. Read a review from The New York Times Book Review.